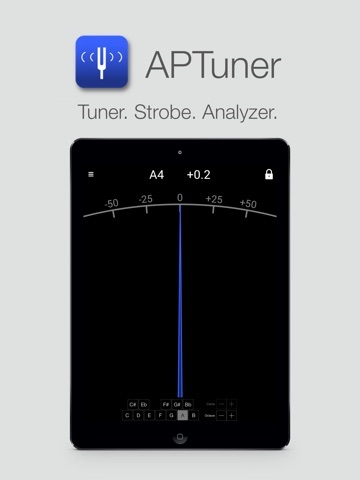 Download APTuner - Chromatic & Strobe Tuner free via AppsHawk. 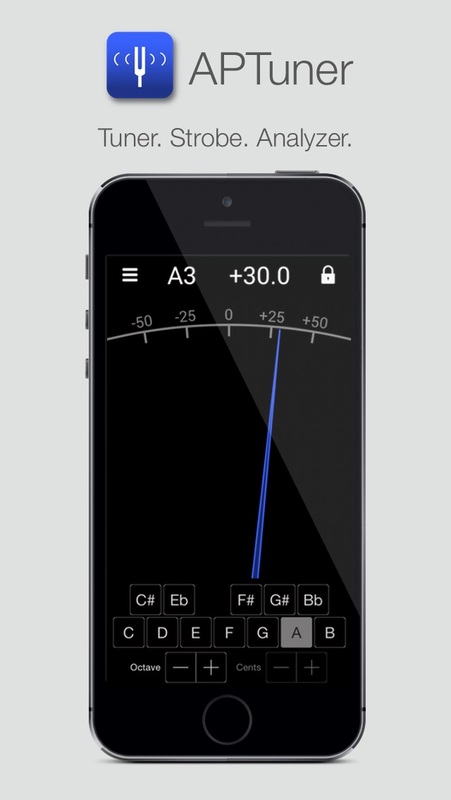 APTuner Pro takes one of the most widely used chromatic tuners and places it in your mobile phone and tablet. 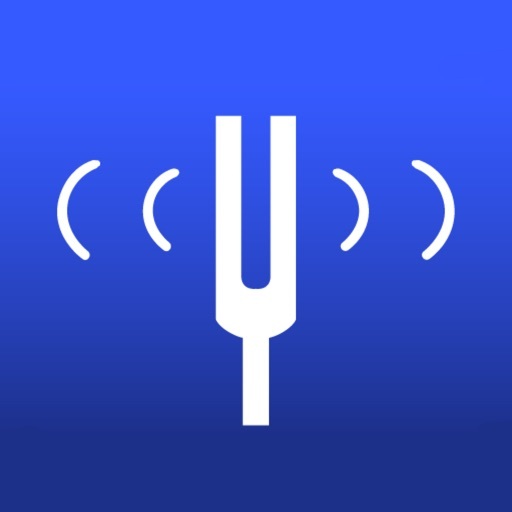 Built around an improved version of our pitch recognition engine, APTuner Pro allows you to quickly and accurately tune your instrument using your phone's built-in mic. 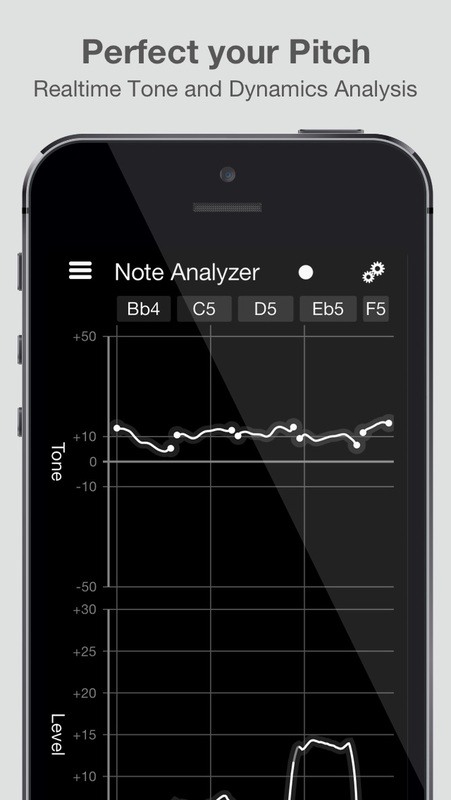 Beautifully designed user interface optimized for iOS7 is focused on only one task: perfectly tuning your instrument. 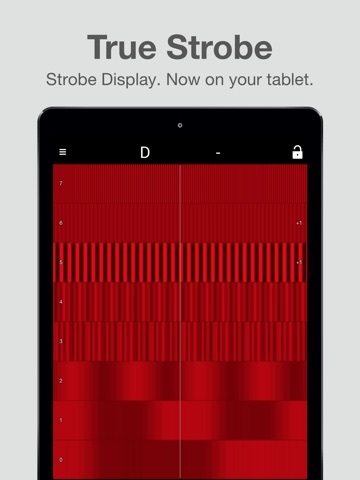 New to version 1.2 is our true 8 octave strobe display. Every audio sample is fed through the GPU to calculate the real stroboscopic effect-exactly like a mechanical spinning disk. Looks absolutely amazing in landscape on a retina display! New to version 2.1 is the Performance Analysis screen. 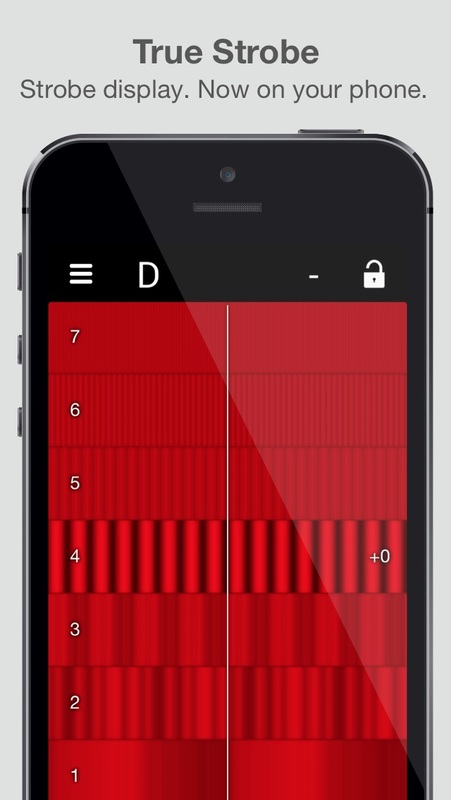 APTuner can analyze and display your pitch and loudness over time. 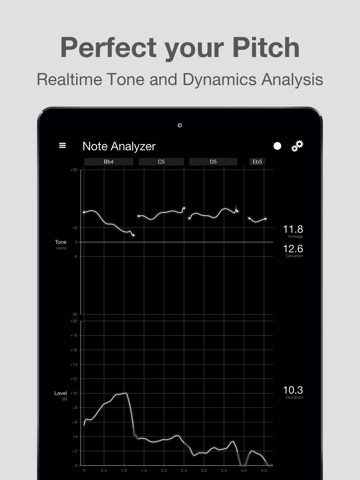 Perfect for improving your tonal quality, scales, dynamics or measuring how well you are holding your tone and volume. The product family has been downloaded over 10 million times and used by countless professional musicians, instructors, instrument builders, and studios. + I've used your product for ever it seems, likely every day. Recommend it to every guitar player I know that owns a computer. + Easy to use, intelligent, and versatile. Slick. + Quick response time, Great display, can see it across the room! + A very good product indeed. My teacher says that it has really helped me to improve my pitch placement. Thank you for all your hard work on this. + My guitar has never sounded sweeter. + The best guitar tuner I have found, cleanly done, easy to use - nothing to improve. A pleasure to pay for it.